The frenzel + berg electronic EASY and Hipecs series are complete PLC systems. 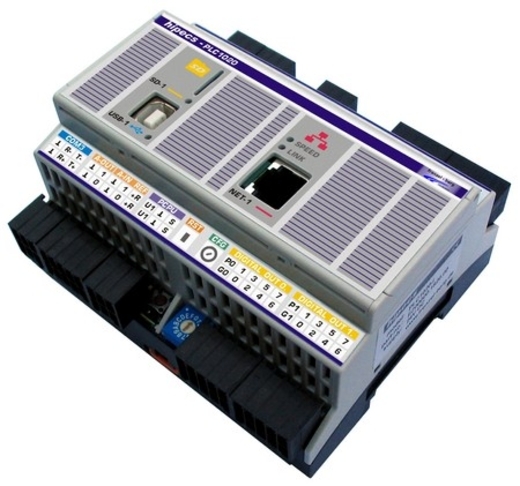 These systems are also available as embedded PLC modules based on 16-bit controllers. All cover an internal PLC runtime system with up to 4 CANopen master in one device. This provides an optimized platform for realizing OEM control systems. They offer analog inputs (resolution 10 bit) and digital I/Os. Several special functions like PWM, encoder, stepper motor and many more are realized on board. The CAN transceiver allows direct connection to a CAN network according ISO 11898. The implemented PLC runtime system is Codesys (3S). It is one of the most powerful IEC 61131-3 programming tools for controllers' applications for Windows. All five languages of this standard are supported. The EIA-232 (RS-232) interface supports online debugging, in circuit programming and visualization. The hipecs series offers USB and Ethernet, too.